Limited Time: Free Overnight Shipping Over $125 The watch you'll want to wear with everything. 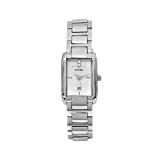 A swarovski stone marks the twelfth hour to the dial of this slim watch. 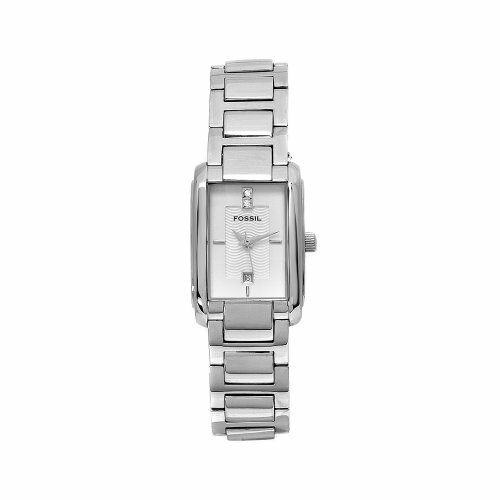 This stainless steel case is attached to polished silver-tone links and is versatile enough for everyday wear. Case Size: 28 mm Case Thickness: 9 mmBand Width: 16 mmWater Resistant: Up to 5 ATMWarranty: 11-year limited Origin: Imported View Size Guide.